Книга по созданию бижутерии. 5 отличных идей для творчества! Create a homemade ring for any occasion and for any sense of style! 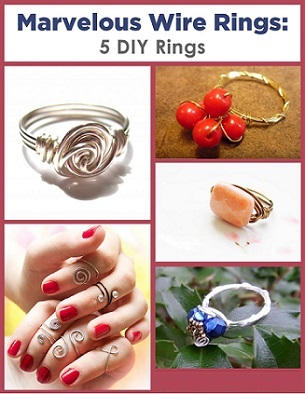 These DIY wire rings are sure to become favorites in your homemade jewelry collection. With both simple and intricate wire designs, each project will help you learn a new skill while creating a stunning set of DIY wire rings.